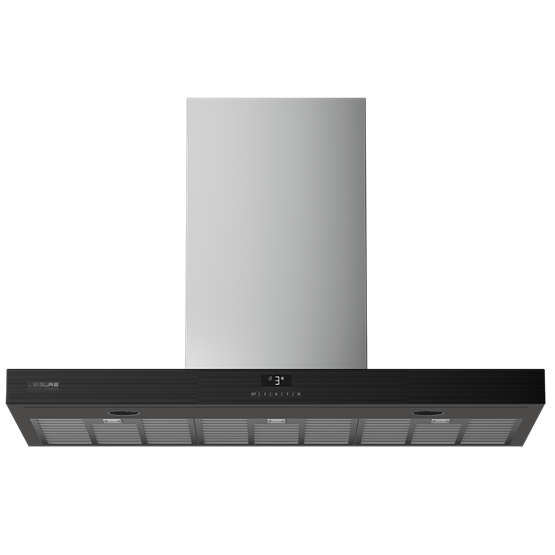 Designed by Patricia Urquiola, this integrated cooker hood's full glass front panel design will add a modern finish to your kitchen. Being powered by our reliable and durable ProSmart Motor makes it highly energy efficient, and allows it to operate at a lower noise level too. Enjoy cooking in a quieter kitchen with a hood powered by an Ecosmart motor, which is quieter, more durable and energy efficient than a standard motor. Add an elegant finish to your kitchen with the hood's touch control white LED display. Easily control the hood’s extraction level and lighting, and select Air Cleaning and Auto-Shut Off features when it suits you. Despite having a high ventilation capacity, this hood is energy efficient, making it perfect for the environmentally conscious home cook. Perfect for open plan homes, the hood has a low noise level even when running on a high extraction level. The recirculating filter removes grease and cooking odours before recycling the purified air back into your kitchen. This makes it ideal for when it's not possible to install your cooker hood near an outside wall. Brighten up your cooking surface with the hood’s LED lighting. The hood’s metal filters can be safely cleaned in the dishwasher, giving you fewer items to hand-wash.
Good Points: Very sleek minimalist hood that does exactly as described. Exceptionally quiet. Good Points: I like the design and how quiet it is. Bad Points: The touch screen button are bot responsive and very hard to select some of the features as a result..thats the main cause of the low rating. Good Points: It's quiet performs ok overall well pleased. Bad Points: Chimney is not the easiest thing to fit But otherwise ok.
Good Points: I love the energy A rating as most hoods have pretty poor ratings. Also hoods are traditionally very noisy and this one is not despite having a good suction. On top of that is very stylish, well built, materials of very good quality and came with cashback so I'm extremely happy with it so far. Bad Points: The digital touch buttons are very fancy but it takes a bit to get use to. I'm having the same issue with the vitroceramic hob as all my old kitchen appliances had knobs. Good Points: Looks good and is easy to use. The highest setting is rarely needed.